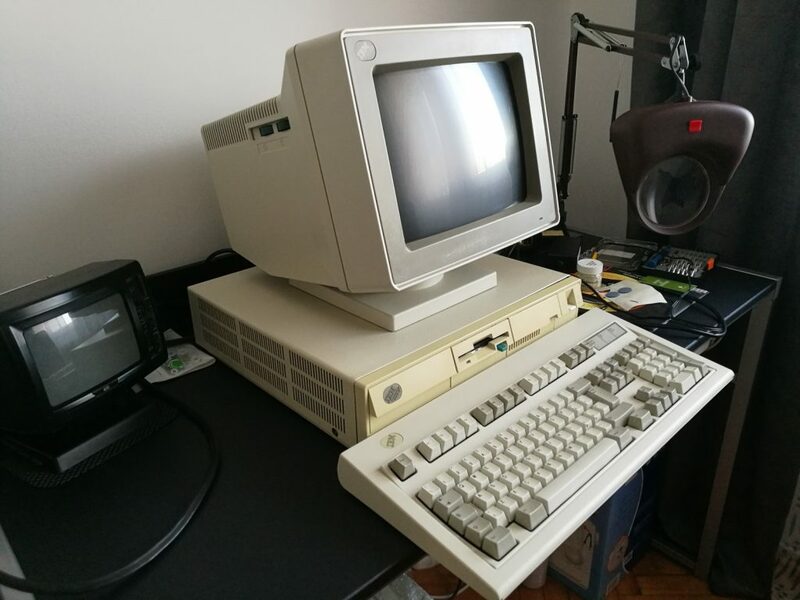 The model 55SX was released around 1987 though Wikipedia states 1988 and the copyright date on the case is 1987. 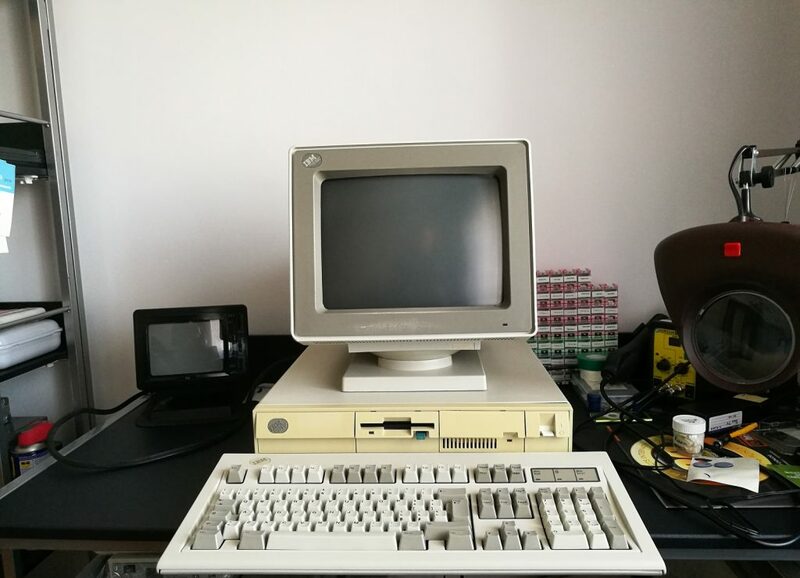 The build quality overall is very good and typical of IBM. the case is a desktop design and is pretty heavy though not very large. This is how I got this machine initially. 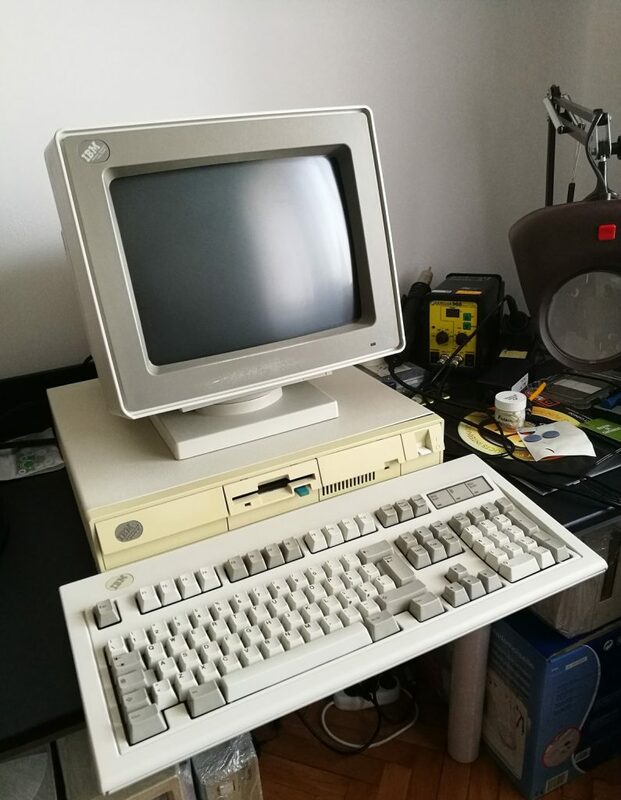 I got this computer from a work colleague, it was sitting for about 2 decades in a basement. 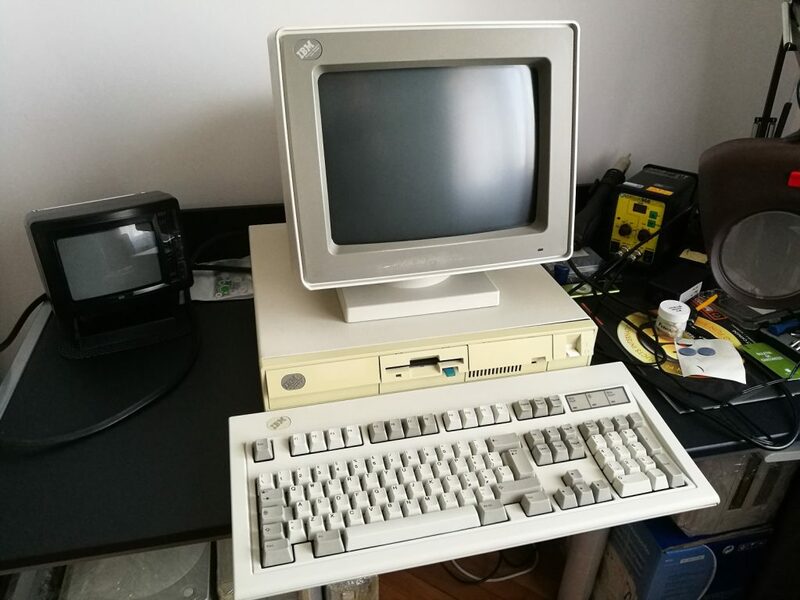 There is very little room for any expansion with two 3 1/2 slots really only suitable for a floppy drive or hard drive which was the typical combo setup as seen on this machine. The drives are on sleds much like in a desktop Macintosh’s of the mid 90’s. The power switch to the far right is an actual heavy duty switch and not a button as was typical on many cases and becoming more common. 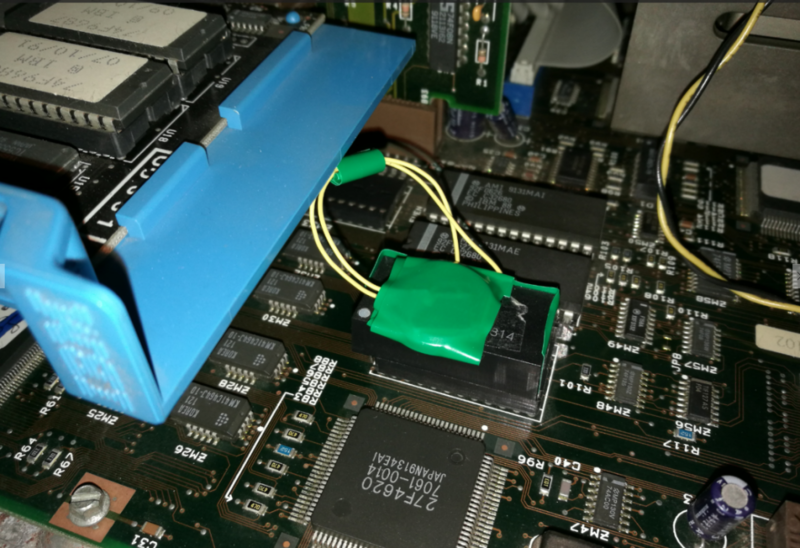 The floppy drive is a 1.44mb 3 1/2 floppy drive but the drive itself is proprietary to the PS/2 and uses a special connector. The computer looks OK, even though it was stored in a pretty humid place. 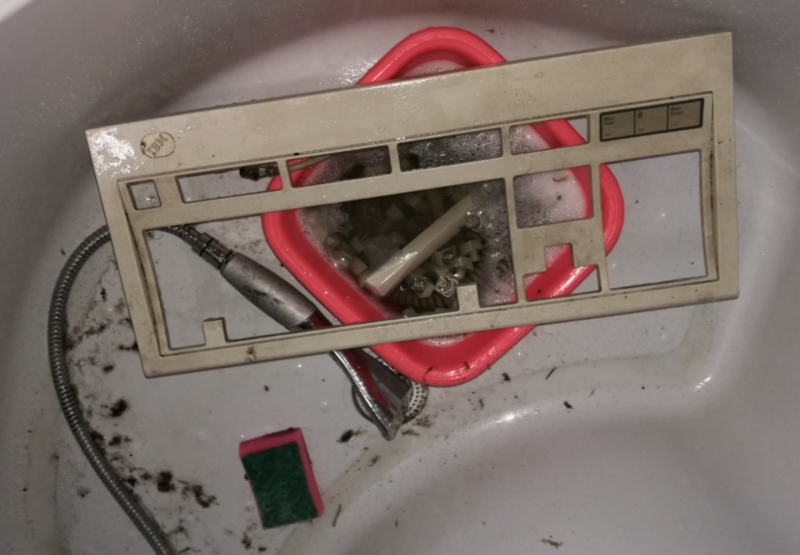 I had cleaned the inside and outside nicely and there is no corrosion on the motherboard. 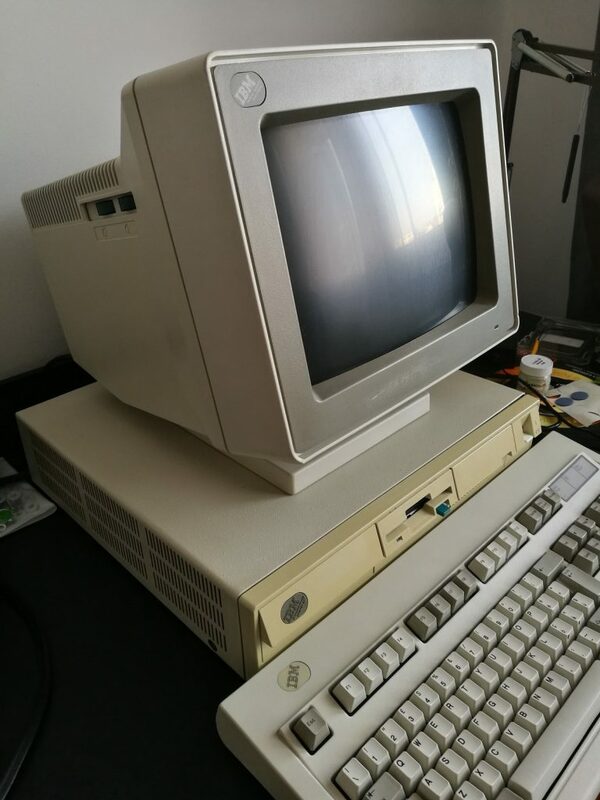 I had tried to boot it up but it does not boot, no POST no nothing. I can hear the power supply and the drive spinning but its pretty much dead. After some research on Google, I had found out that this machine has an issue with the Dallas chip. The RTC Battery dies and the system will just not boot up. 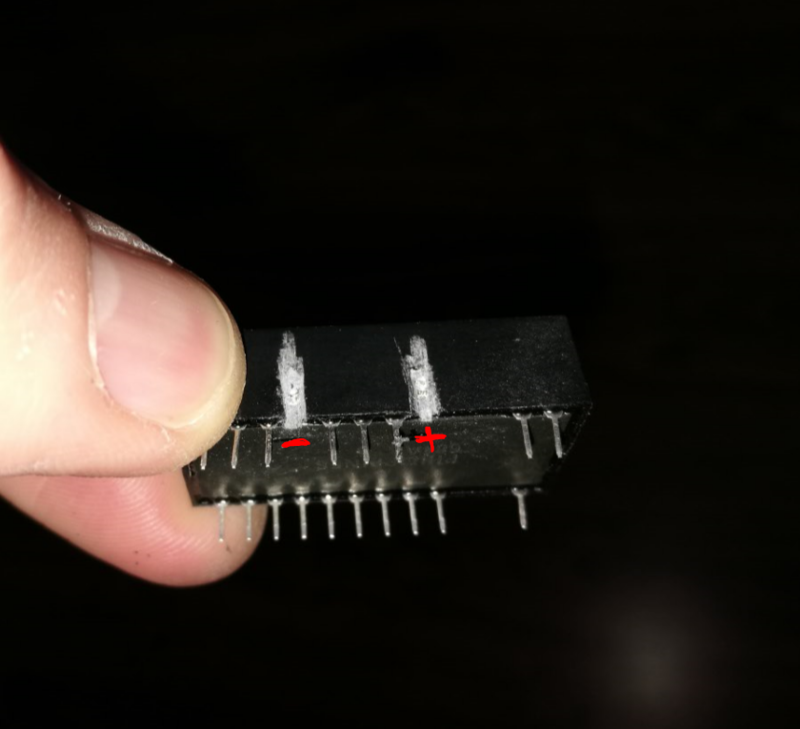 So it was time to hack the Dallas chip. First you need to cut through the resin chip using a metal saw. The effort is minimum and you do not need a lot of skills for this. Next step is to solder 2 wires against the chip and attach them to a CR2032 3V battery. You can definitely go for a much nicer solution but this was made with the stuff i had in the house. After this hack the computer booted just fine, its a surprise but the ESDI HDD works like a charm! 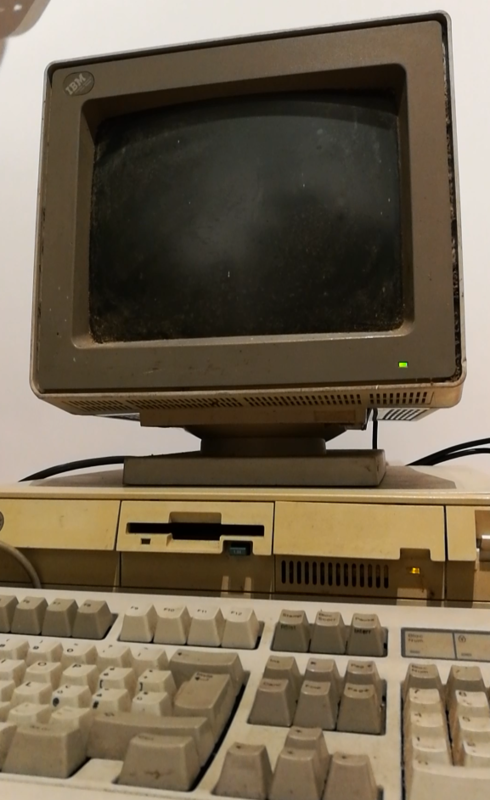 The keyboard is a model M, from 1987 and some keys are not clicky anymore due to the dust that has added up over the decades. 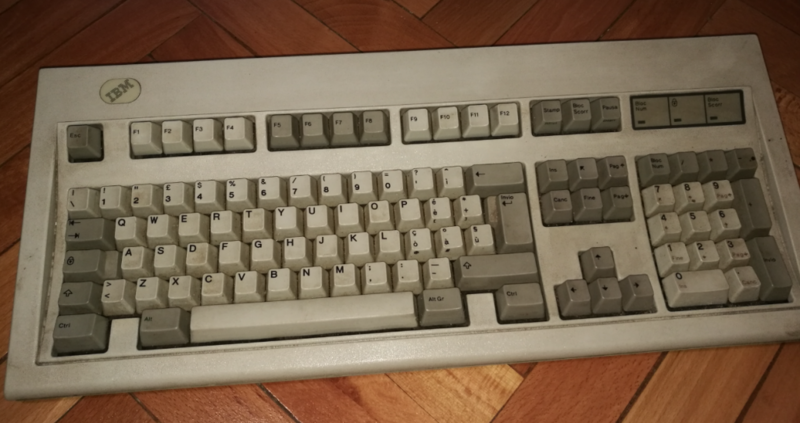 IBM Model M keyboard, before the cleanup. 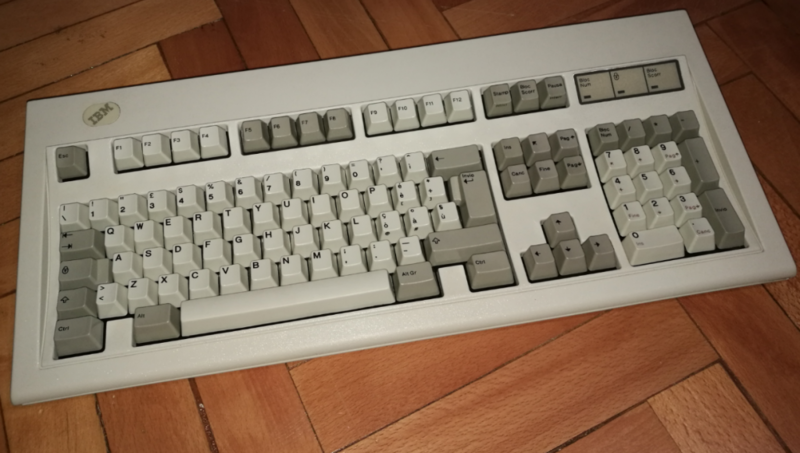 The cleanup process of the model M is fairly simple but its pretty time consuming as first you need to take apart all keys (ext caps, caps) then open the keyboard and separate all plastic from electronics. After doing so use clothes detergent a toothbrush and lots of patience.